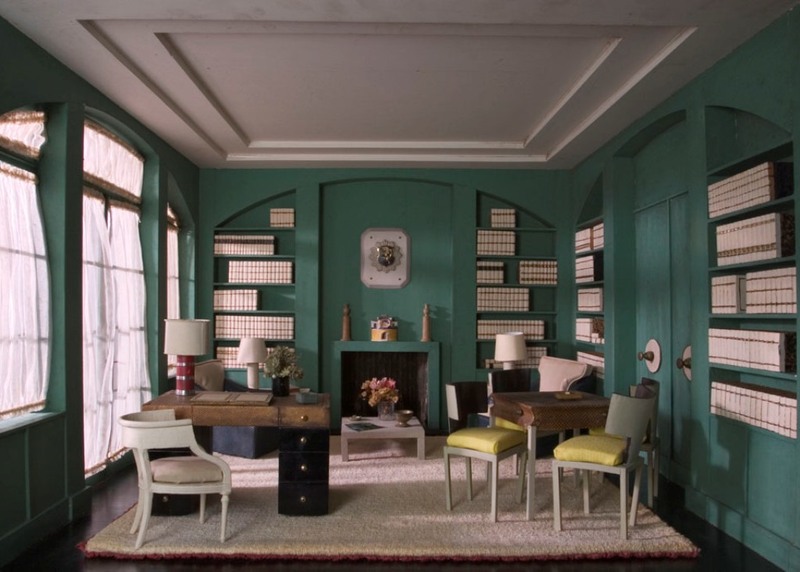 During his lifetime, Otto Zenke designed and built fourteen miniature rooms, several of which were exhibited in New York and other American cities. 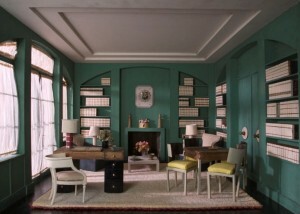 Following Zenke’s death in 1984, the twelve surviving miniature rooms were donated to the museum by his niece Julie Bedell. Three are currently on exhibit: the Bedroom, Modern Dining Room, and Modern Library. Inspired by Mrs. James Ward Thorne’s miniature rooms, Zenke created elegant designs that reflect his love of late 18th-century English interiors. Rather than using the standard scale of one inch equals one foot, Zenke preferred the unusual one and one-half inches to a foot. Born in Brooklyn, New York in 1904, Otto Zenke studied interior design and started his career at B. Altman & Co. in New York before moving to Greensboro, North Carolina, where he worked as chief decorator at Morrison-Neese Furniture Company during the late 1930s and 1940s. Zenke opened his own design studio and showroom in 1950 called Otto Zenke, Inc. He designed and decorated primarily residential properties for another three decades and eventually opened offices in Palm Beach, Florida and London.